To be or not to be – Bb that is. 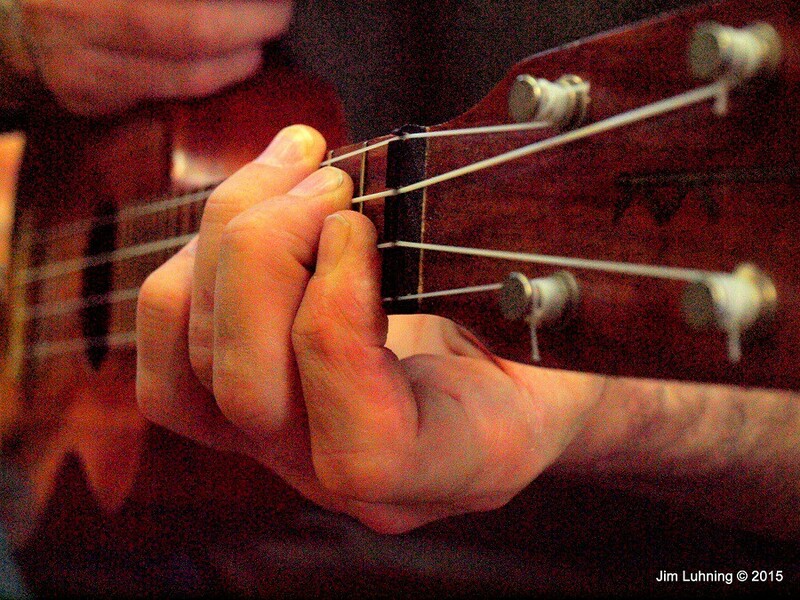 Beginning ukulele students often have this common experience: You are rolling right along, strumming and singing, you got your C chord down, Am, F, even G. Then you have to play a Bb and you decide to take a break. Forever. The Bb is the most dreaded beginning chord for the aspiring ukester. Let’s break it down and see why it is so difficult (because it is, you’re right) and the proper way to play this chord so that it will become as easy as the other chords. It takes some practice to get it to sound good, but once you do you will love the Bb. Not just because it is such a useful chord, but because it is a moveable shape you can take up the neck (one fret higher is a B, for example). Good luck, and keep on rockin’ the uke! I love you for showing me this! It really was discouraging that I simply could not get it. Thank you! I’m glad we could help! 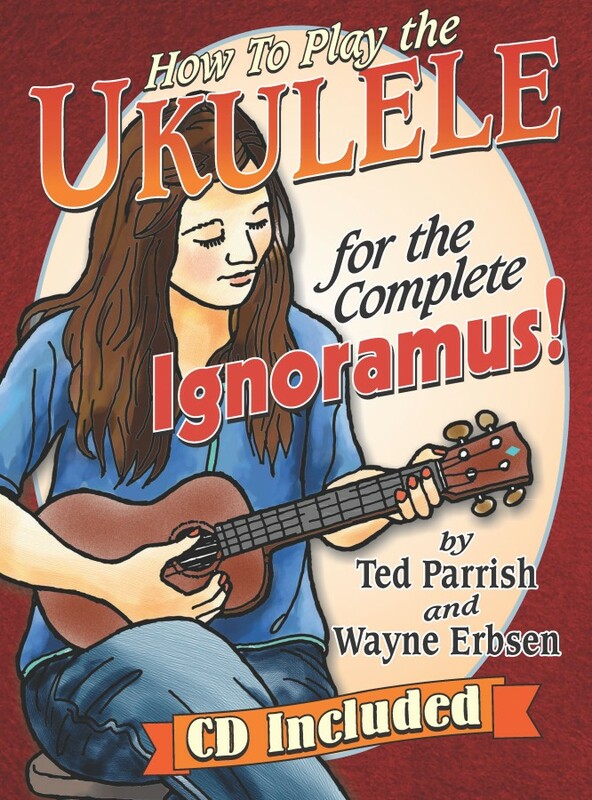 If you like our teaching style, make sure to check out the book that Ted & I wrote, ‘Ukulele for the Complete Ignoramus’. I am missing my ring finger..any ideas for me with this chord? Two things you could try – First substitute your pinky for the ring finger in the chord. This would be preferred, because it will give you the full chord. The other option is to leave the fourth string open for the chord. 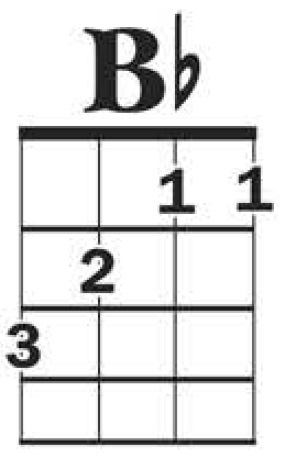 This makes it a Bb6 chord, which will work for many (but not all) songs. Thank you! I’ve been trying to get this chord for a long time, but I could never do it right.